For a versatile, compact crossover that doesn't blend into the crowd, check out this stylish Mitsubishi RVR. 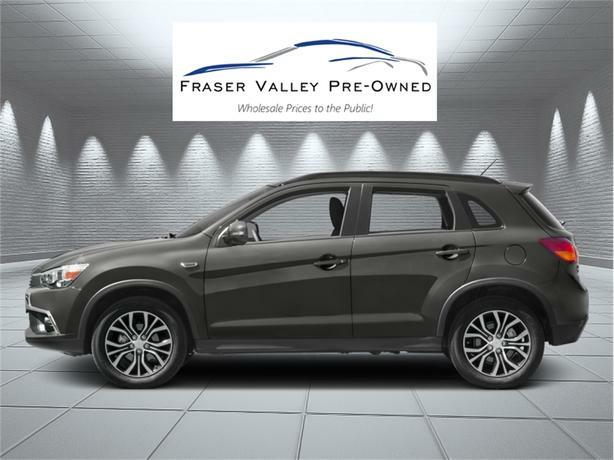 This 2016 Mitsubishi RVR is for sale today in Abbotsford. The elegant, yet assertive exterior of this Mitsubishi RVR makes for an engaging and eye-catching design. Far from being just another crossover, this RVR makes a stylish statement while delivering versatility and sound handling. It beckons to be driven with a highly spirited power plant which balances power and fuel efficiency. Perfect to navigate the fast-paced and ever-changing avenues of urban living and solid enough to tame the wildest shopping excursion, this Mitsubishi RVR is ready to impress you. This SUV has 48108 kms. It's grey in colour. It has an automatic transmission and is powered by a 168HP 2.4L 4 Cylinder Engine. This vehicle has been upgraded with the following features: Sunroof, Bluetooth, Rear View Camera, Heated Seats, Air Conditioning, Aluminum Wheels, Fog Lamps. It has some remaining factory warranty for added peace of mind. Buy this vehicle now for the lowest bi-weekly payment of $149.16 with $0 down for 84 months @ 4.99% APR O.A.C. ( Plus applicable taxes - Plus applicable fees ). See dealer for details.